Need data recovered from your Mobile Phone? Then you have come to the right place. We offer data retrieval for the iPhone, iPad, Macbook, Samsung Galaxy, Google Pixel, Sony Xperia, and much, much more. We can recover data from cell phones with no display, broken touch screen, liquid damage, and even not turning on devices. Using specialized software we can even restore previously deleted data that you may think is gone. Whether you need pictures, videos, notes, contacts, messages or any other data, chances are that we can probably recover it for you. So bring down your mobile phone to any of our stores and we’ll assess it for you to determine the best way to recover your data. Our turnaround is quick and we will endeavour to recover your data as painlessly as possible. So want the data off your water damaged iPhone or Android Device? Is your Mobile Phone not turning on, but you need media of your loved ones? Accidently deleted some important data and want us to recover it? Then contact or call Phone Ninja today for any data recovery service you may need. We cannot recovery data from phones if the passcode is unknown including if you don’t know your iCloud/Google lock password, or if the device is in recovery or disabled mode. * Base Prices listed above are for all repairs and include liquid ingression removal, but not for onboard work which may be required to extract your data if circuit board components need replacing. All Data Retrieval is taken under an upfront $45 assessment fee which is non-refundable and will be deducted from the final repair cost. Data Recovery is not guaranteed. 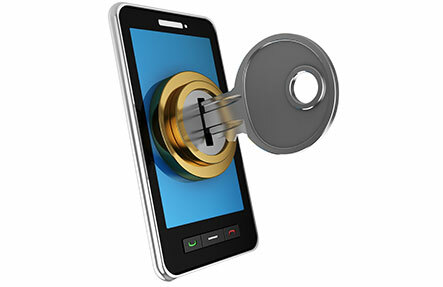 Due to the nature of data recovery your device/phone will be non-functional after the process. We recommend you bring in your own backup device, either usb sticks, sd cards or hard drives with a size larger than their phone/device storage space. However we also sell usb sticks and external usb hard drives as well.